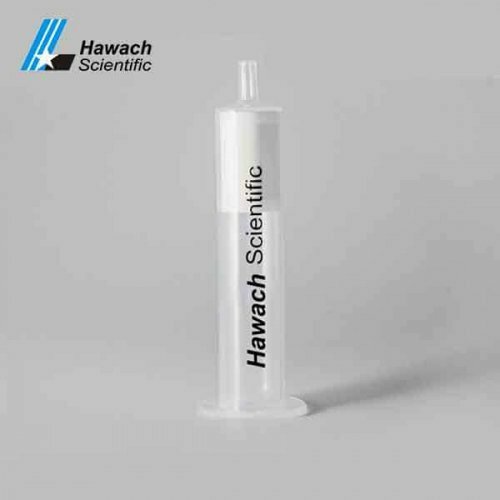 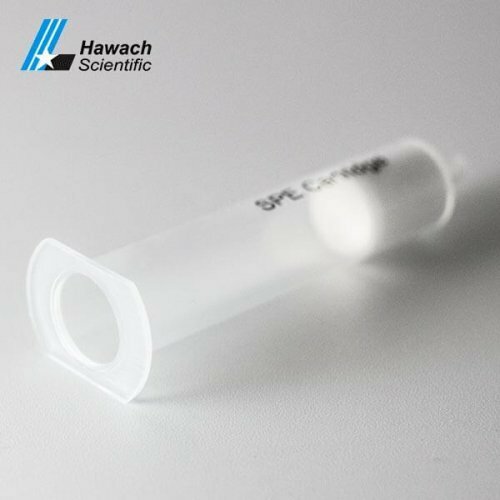 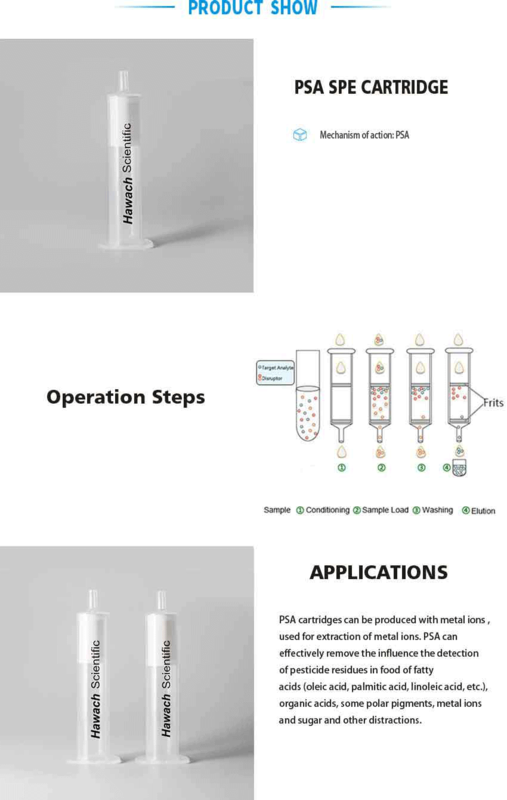 Ion-Exchange PSA SPE Cartridges are a weak anion exchange sorbent, it can be used as a reverse phase or positive phase cartridge. It was used to separate strong acids and polyacid compounds from aqueous samples. 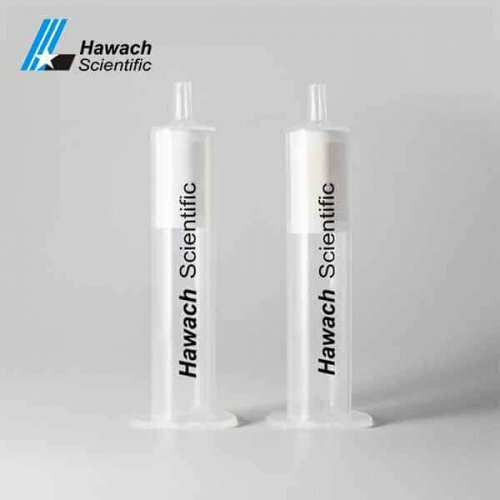 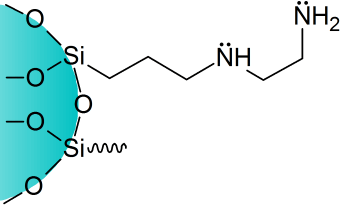 other hands, it also can be used as a polar sorbent to separate polar analytes from non-aqueous matrices. 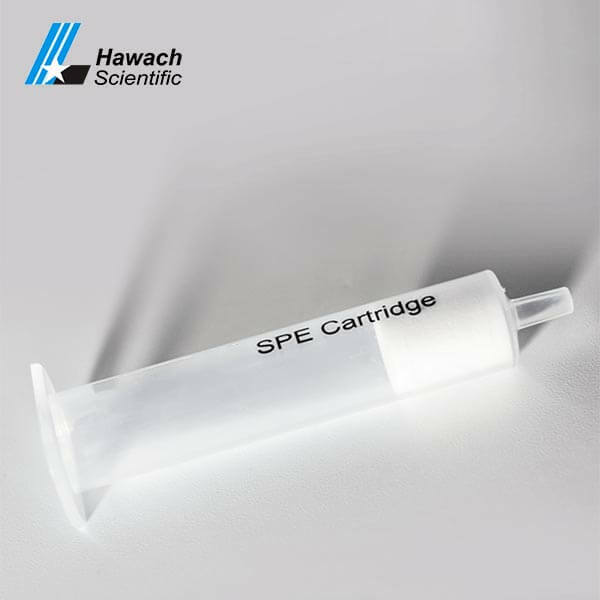 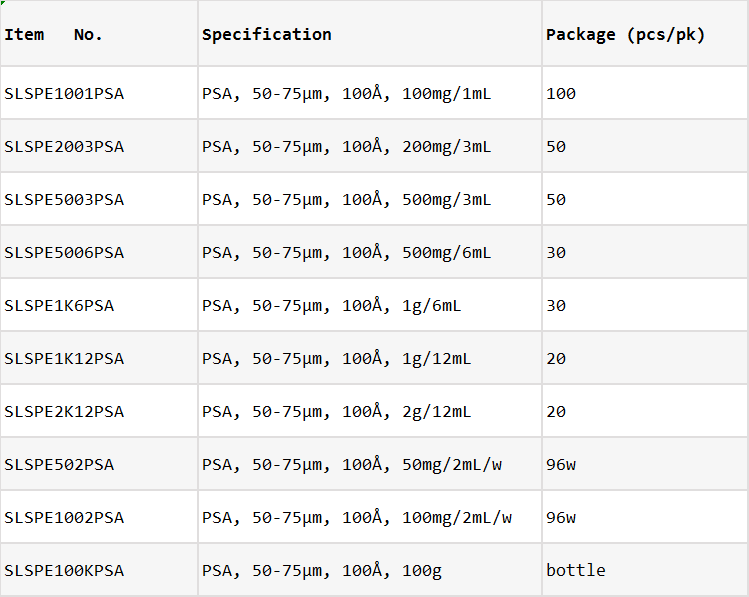 Our PSA SPE cartridges are available in a big range of SPE cartridges formats.